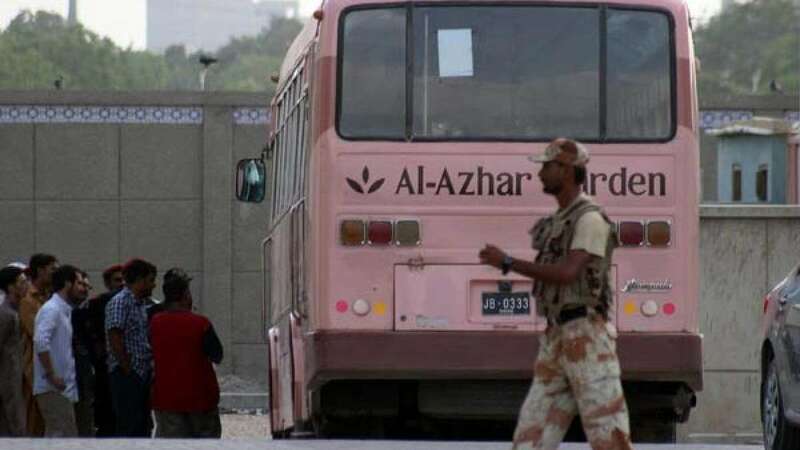 Karachi : A bunch of terrorists on bikes open fired a bus in Karachi that killed at least 40 people. Claiming their first ever attack in Pakistan-Afghanistan region the Islamic State took responsibility of the attack on pink bus. Pakistan PM Nawaz Sharif said he is saddened by the attack.